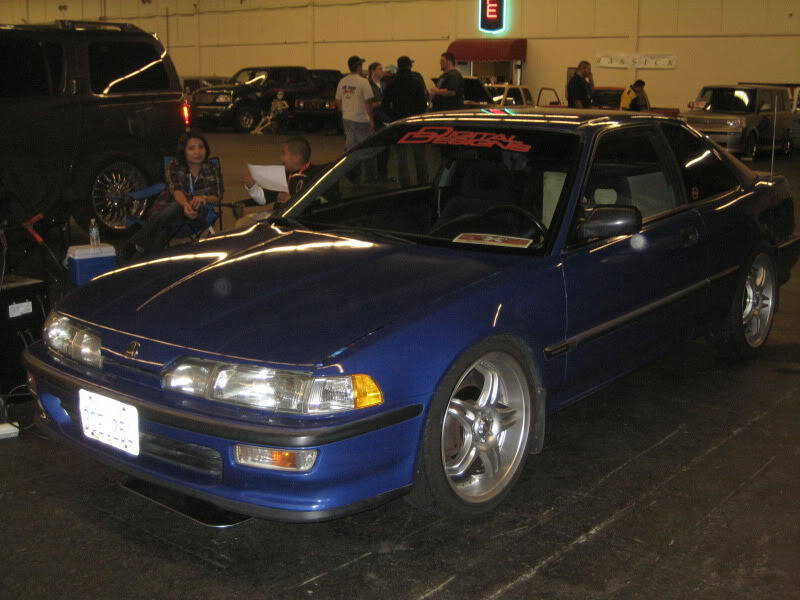 just make a crx box. dooooooooooo it! I'm glad to hear that from you gettin' back into the game . . . It's really hard to hit 150 db's on a 1993 Integra. It's possible but I will not recommend you using this kind of car (Integra year 1990-1993) because of both driver/passenger windows not having a window glass guide rails. That will be the access of air bass pressure to come out. I had this kind of car at one time running just (1)15", (1)amp and (1)batt for a couple shows hitting between only 149.9 to 150.5 db's. Did all kinds of adjustments just to get loud. Problem is the more power and subs I used, the more that window opens due to too much air bass pressures. If I were you I'll start looking for at least year 1995's and up if you really like to use this kind of car to compete. Jay Jones' 2007 Team Fear of Bass 1997 Integra with 8 12" MTX's, I don't know anything else besides it was rediculously loud from 100 feet away. No doubt that they will get loud but the questions is ? Is it loud enough for SPL ? That if your into dbdrag/spl system though . . . . but if your just into sq system then you'll be okay with that kind of ride. wow ! should have kept your crx bro ! With the right box and power, for real they get loud . . .